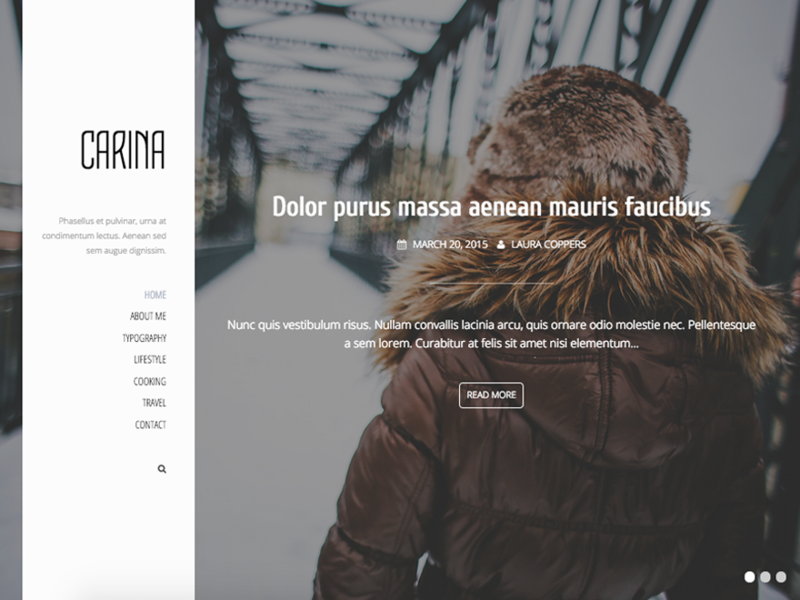 Carina is a clean and fully responsive WordPress Theme created for bloggers. Carina uses the theme customizer (live theme editing feature) for its more than 80 options allowing a much more pleasurable experience as you edit your theme. Thank you for choosing Carina.